President Muhammadu Buhari's Administration Thus Far! 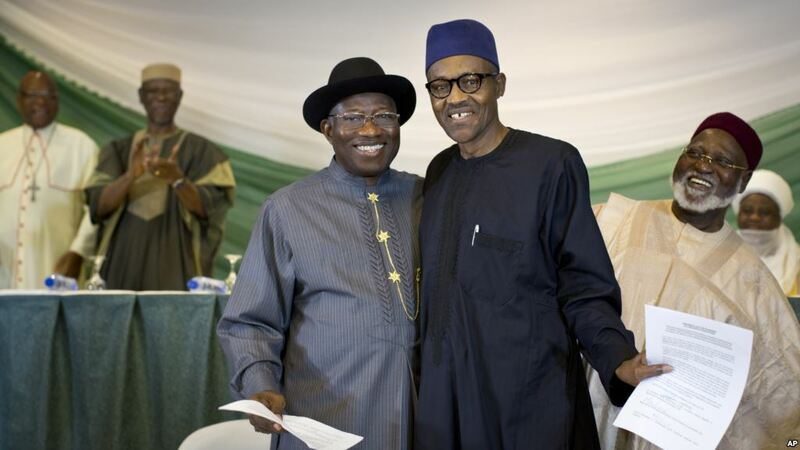 The era of former President, Dr. Goodluck Ebele Jonathan of the People's Democratic Party, PDP has come and gone. He gave his best fight in his exorbitant efforts to retain the presidential seat during the elections. He impressively gathered sum total votes of 12,853,162 as against his All progressives Congress, APC counterpart, Muhammadu Buhari who had 15,424,921votes at the recently concluded March 28, 2015 presidential elections. The massive support shown to Mr Jonathan was borne out of the loopholes of heterogeneity of the Nigerian state, power of incumbency, and the menace of money politics which has eaten deep into the roots of the political system in Nigeria. Its imperative to mention that several electorates traded their conscience and views over some material benefits during the general elections. His votes were less representative of his achievements in the Nigerian state. This is the expectant result of a leader that was rumoured to have spent over N2 Trillion for his presidential campaign which is half of the Nigerian budget for the year 2014. Former President Goodluck Jonathan can't be said to have 'slept' throughout his 6-year stay on the highly presidential chair as he recorded remarkable achievements in the areas of agriculture, the Almajiri project, fairly in the area of youth unemployment through the SURE-P project and YouWIN e.t.c The 54-year old Nigerian state was heading to the graveyard as a result of two major viral infections Dr. Goodluck Ebele Jonathan had virtually the wrong medications to. Poor Nigeria was simultaneously suffering from political corruption and the menace of Boko Haram insurgency. Nigeria became a victim of the resource curse theory. The 6th largest producer of the highly lucrative crude oil in the world became the same country with over 60% unemployment rate, about 110 million people living in poverty. The resources of an entire nation became shared among a privileged few while the masses battled for the crumbs meant for the ants. This same country where armed robbers are brutally murdered while the oil thieves wrecking fatal havoc in a subtle way cover the front page of big magazines in adoration. The masses all suffer in silence and take their hopes to the religious organizations. The oppression was intensified through the removal of the oil subsidy on the 1st of January, 2012 which was a way of telling the generality of the masses to pay for the luxury goods they never bought. I am not an Economist but I wish to be enlightened on how Nigeria's status as the largest economy in Africa translates into the well being and betterment of the lives of the people with millions living below a dollar per day. Then gradually Boko Haram started gaining prominence and were on the verge of pushing Nigeria to the status of a failed state before the kidnap of the over 200 Chibok girls in Borno state on the night of 14th to 15th of April 2014 woke Dr. Goodluck Ebele Jonathan from his presidential slumber. Nigeria's nakedness covered in native attire was exposed for the world to see. The plight of Nigeria became a masquerade dance neighbouring villages came out to watch. Boko Haram rip the hearts of innocent people in the North-East that the killings could no longer make headlines due to its level of frequency. Breadwinners in the Nigerian army were mandated to use their 'bare hands' in a gun duel against Boko Haram fighters. Our soldiers who used to be rated in the world as the best fighters on land started leading the survival race ahead of the civilians against Boko Haram fighters as we had in Mubi Town in Adamawa state and the infamous 'tactical manoeuvre' when the terrorist group chased 500 Nigerian soldiers into Cameroon in 2014. Several soldiers that lamented on the unavailability of quality weapons to combat Boko Haram were court-martialled with no voice to speak for them. Alex Badeh, former Chief of Defence Staff (CDS), kept mum about the truth till he was removed from office before the attributed his failure to the unavailability of adequate military weapons to combat the terrorist group. All these and many more I can't discuss to reduce the length of this piece happened under the auspices of Goodluck Ebele Jonathan. The former president proposed a very bright future many had few chances of living to see. I argued in my Masters degree project that terrorism erodes the basic fundamental human right on the basis of which other human rights are built. This is the right to life. Economic prosperity, social infrastructure and others ring no bell in the ears of a dying man. That is the irony of terrorism. Today, Nigeria boasts of an old, slow, calculative and highly feared Watchdog named President Muhammadu Buhari. He has successfully relocated the military command to Borno state where the feet of the insurgents are rooted. He has successfully changed the Service Chiefs in Nigeria to encourage a new set of ideas from military men that must have watched the whole Boko Haram saga from the stands, taking notes of the past mistakes of other military chiefs and devising a strategy to counter fresh Boko Haram approaches to security breach. Boko Haram's strategy is not a conventional war technique. They make use of a guerrilla warfare that involves wrecking damage and retreating to the forest and borders. Majority of their attacks are on the civilian populace. The lack of a sincere cooperation among the neighbouring countries helped Boko Haram to soar high like Eagles. Nigeria alone would never win the battle against Boko Haram as the sect is not even attacking Nigeria alone. Boko Haram sealed ties with the Islamic State of Iraq and Al-Sham, ISIS. The proactive solution called for a regional collaboration among the neigbouring countries like Cameroon, Niger and Chad which President Muhammadu Buhari was been after since he assumed power. His visit to America was a futuristic move due to their military and technological prowess which Nigeria can benefit from. On the issue of corruption, the masses finally have a reason to smile with several cases of the Economic and Financial Crimes Commission, EFCC and the Independent Corrupt Practices Commission, ICPC making the headlines everyday e.g. the Nigerian Maritime Administration and Safety Agency [NIMASA], Patrick Ziakede Akpobolokemi, immediate past Jigawa Governor, Sule Lamido with his two sons, Godswill Orubebe's case, Toyin Saraki, Yar'dua's daughter Zainab, Director General of National Agency for Food, Drug Administration and Control, NAFDAC, Paul Orhi, Former Special Adviser on Niger Delta Affairs to ex-President Goodluck Jonathan ,Kingsley Kuku e.t.c as well as the operatives of the Directorate of the State Security, DSS being on the neck of the former National Security Adviser Sambo Dasuki and the former aide of ex President Goodluck Jonathan, Moses Jitoboh all shows there is a fresh flow of water accompanied by new fishes in the political ecosystem. This has eroded the distrust the people have in the government. Corrupt officials should now have fears in their hearts. Let it be known that the embezzlement of public funds is a great risk. The body language of President Muhammadu Buhari is impressive. Nigerians have for long lacked the kind of leadership to look up to. I believe we Nigerians are right-thinking people that are ready to emulate good deeds. With a leader with at least 80% loyalty level at the top, the orientation of public office holders will change. They will desist from seeing their offices as a gateway to wealth but an opportunity to serve. In the history of Nigeria, no political opponent has ever called his successful counterpart on phone to congratulate him on his victory but when former President Goodluck Ebele Jonathan made contacts with President Muhammadu Buhari before the official announcement of the election results by the then Chairman of the Independent National Electoral Commission, INEC, Professor Attahiru Jega. This became a trend in Nigerian politics. It is good for the democratic system. Executive Secretary of the Center for Crisis Communication, CCC, in the person of Air Commodore Yusuf Anas (rtd) that the group has been making contacts with the governmental body for a possible dialogue is valid. Integrity is being restored in the nation. We have successful embarked on a trip to the promise land. We only need time to reach out destination. Buhari may never take us there but he will surely set us on the course unlike the Nigeria of the past administration that lacked direction. The Nigeria where the youths that are the future don't know the essence of governance. A country where promising youths leave school and retire to their homes without jobs. What a life without purpose, motivation and direction! Corruption will certainly reduce with Buhari's clampdown on super-rich civil servants. Boko Haram is seeing their last days from their strategy of attacks. They are fighting from the weak side. The frontal attacks have stopped. The usage of underage girls for suicide attacks is an indication of a shortage of options. With rumours of Boko Haram's offer to negotiate with the Federal Government, Nigeria will certainly be cured of those two major ailments called corruption and terrorism that could have caused the demise of the country.